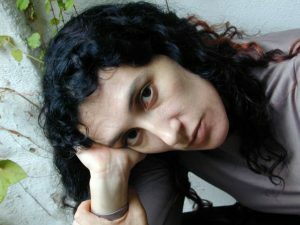 Silvana Cardell is an award-winning choreographer living and working in Philadelphia, since 2002. Cardell is a choreographer, dancer, educator. She directs both Cardell Dance Theater and is the director of the dance program at Georgian Court University. Prior to joining GCU, she served on the faculty at the School of Dance at the University of the Arts in Philadelphia. Ms. Cardell holds a B.F.A. 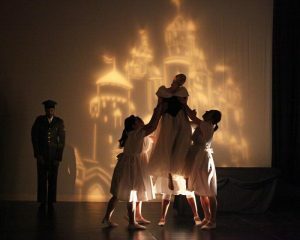 in Dance from the University of the Arts and an M.F.A. in Choreography from Temple University, both in Philadelphia. A dancer with the Adriana Coll Dance Company (1983-1986) in Buenos Aires, Argentina. Cardell served as the director of Armar Danza Teatro (1992-1996) in Buenos Aires. For the next several years she directed her own dance company S. Cardell Danza and EDA Escuela de Danza del Abasto, sponsored by Secretaria de Cultura de la Nacion. Cardell received the most prestigious choreography award in Latin America from Fundacion Antorchas. In addition to being a founding member of CoCoA-Datei, a nonprofit organization devoted to developing dance in Argentina, she also directed her own dance company and dance school. She and her husband, architect Pablo Meninato, created the Sala Ana Itelman, a performance space that showcased mainstream and avant-grade national and international artists, sponsored by Instituto Nacional del Teatro and Secretaria de Cultura de la Nacion. She later became a dancer, choreographer, and artistic co-director at Group Motion Dance Company (2005-2007) in Philadelphia. She began Cardell Dance Theater in 2002 in Philadelphia. Ms. Cardell has been invited to teach at major dance and theater festivals throughout Latin America, and her choreography has been awarded, sponsored, and commissioned internationally by several organizations, including Antorchas Foundation, Instituto Nacional de Teatro, Secretaria de Cultura de la Ciudad, Red Latinoamericana de Productores de Danza y Teatro, Teatro Gral San Martin, Presidente Alvear, and Teatro de las Provincias. 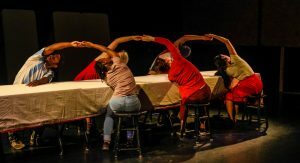 In the United States, her work has been presented by Group Motion, the American Dance College Festival, University of the Arts, Swarthmore College, Harold Prince Theater at the Annenberg Center of the Performing Arts, Georgian Court University, Mt Vernon Dance Space, Falls Bridge, New Festival’s Dance House, New Festival, and Christ Church Neighborhood House.